Mariana Garcia’s* now three-year-old son, Antonio*, was born six weeks premature. He has developmental delays and a chronic respiratory illness that requires nearly monthly hospitalizations. 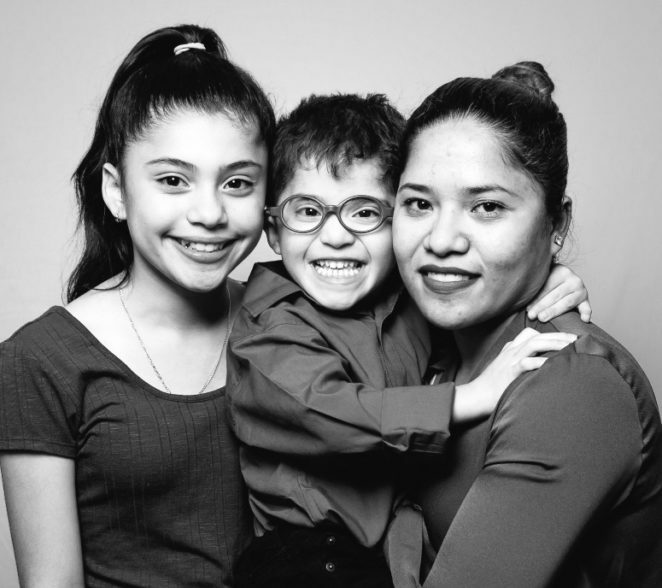 Ms. Garcia, a native Spanish-speaker who was working two jobs before Antonio was born, had to cut back her hours to care for her son, even as she faced significant medical bills. Despite Antonio’s serious medical conditions, the Social Security Administration (SSA) denied his disability benefits application. Legal Aid public benefits attorney Hannah Weinberger-Beder represented Ms. Garcia and her son at an administrative hearing and established that Antonio’s condition was severe enough to qualify him for benefits. Then, after Antonio was approved, Hannah discovered that SSA had underpaid Ms. Garcia because it had miscalculated her income. With Legal Aid’s help, Antonio was awarded the amount of benefits to which he is legally entitled. At the same time, with so much going on in her life, Ms. Garcia missed a single month’s rent payment shortly after Antonio’s premature birth. Instead of working with Ms. Garcia, her landlord tried to evict her. Fortunately, Legal Aid was there. Housing attorney Elena Bowers investigated, ultimately filing a counterclaim based on a severe bedbug infestation in Ms. Garcia’s apartment that was particularly dangerous given Antonio’s health condition. Ms. Garcia’s landlord agreed to a fair payment plan and to remedy the bedbug infestation. *Names have been changed to protect the clients’ identities.